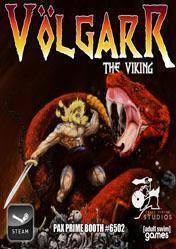 Volgarr is a game created in 2012. The protagonist is a Viking whose aim is to confront all challenges and enemies that are submitted through the levels. Each level has two parts and the second part there is a boss. It is very difficult, much, but highly recommended as it is fun but sometimes gets on your nerves because when you die you have to start over from the beginning of the level. The graphics are 2D and indie style, but those who appreciate a good game not taken into account.